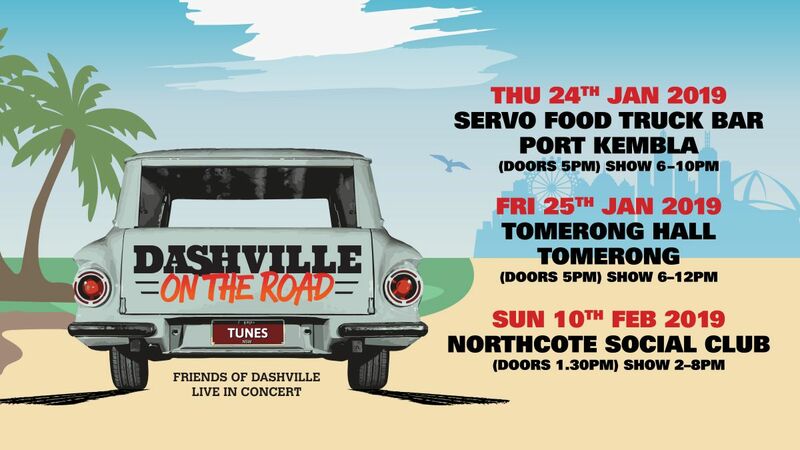 Dashville is heading out on the road again this Summer with a bunch of it's finest compadres in tow, for a series of classic good times and mighty live music sessions. 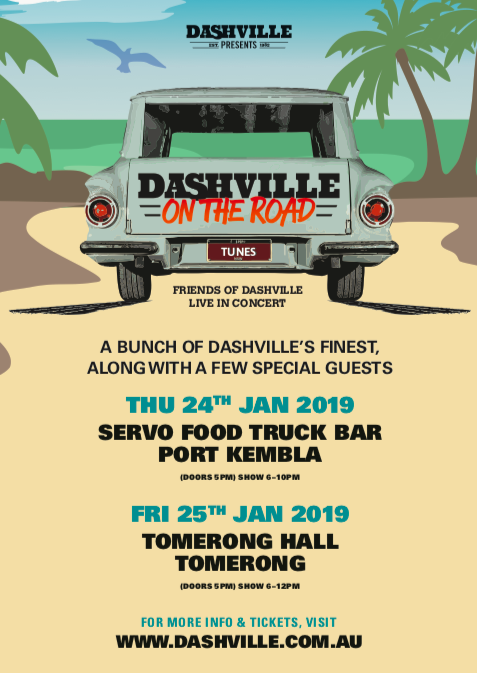 This time we head to the beautiful NSW South coast towns of Port Kembla and Tomerong leading into the public holiday weekend of Jan 24/25. 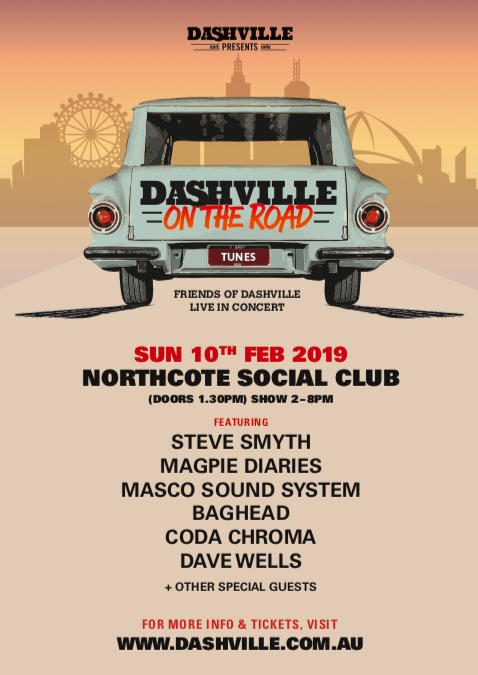 Following on from that jaunt, Dashville will drive a fearsome spear into the heart of beast with a stacked 6hr show at the Northcote Social Club in Melbourne on Sunday 10th Feb 2019. Come and join us at the shows.... There's going to be a lot in store! It's a slow burner idea though, one that we hope to grow and continue hosting into the future. An exciting way to drag a bit of Dashville magic into the weird and wonderful confines of our sparse nation; into cities, rural outcrops, places of worship, places that pour beer... Who knows, dream big and we might even make it across oceans one day. The first series of shows kicked off in July 2017, successfully paving the way for subsequent rounds of Dashville On The Road held throughout 2018 which was a bag load of fun. Feel free to get in contact if you reckon you'd like to host a cool party space for around 15- 20 polite and intelligent songwriters and musicians. *Acts that have been part of Dashville On The Road so far include Baghead, Melody Pool, Magpie Diaries, Dave Wells, Deanna Rose, Jason Walker, Lyle Dennis, Nicholas Connors, Ahlia Rain and William Crighton, Adam Young, Katie Brianna, Ben Leece, Steve Smyth, Masco Sound System...think that's about it..?